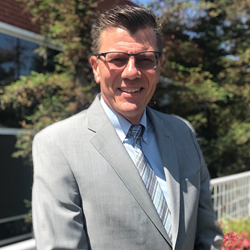 Skip Williams President & CEO, OEwaves, Inc.
OEwaves, Inc. is pleased to announce that Skip Williams has joined the company as its new Chief Executive Officer. Williams brings over 12 years of senior leader experience to the company’s leading position. Skip comes to OEwaves from Space and Naval Warfare Systems Command (SPAWAR), an Echelon II organization within the United States Navy and is the Navy's technical authority and acquisition command for C4ISR, business information technology and space systems, where he supported the organization’s prolonged, rapid growth culminating in a factor of three growth of SPAWAR Systems Center (SSC) Pacific’s small satellite space portfolio. Prior to his tenure at SPAWAR, Williams held senior positions at the Space Vehicles, Aerospace Systems, and Directed Energy Directorates of the Air Force Research Laboratory as well as positions with the Department of Energy at Los Alamos National Laboratory and Sandia National Laboratories. In these positions, he has used his general management, technical, and innovation skills to improve business performance across a diverse range of defense research and technology development activities, with a focus on innovation and disciplined execution. “We are delighted that Skip Williams has joined the OEwaves team. Skip has a strong background and the vision required for a growing technology company. His leadership skills and experience will be invaluable as OEwaves moves to the next phase of growth.” said Robert Verratti, Chairman of the Board of OEwaves, Inc.
Williams is a graduate of Stanford University and received his Ph.D. degree with a specialization in nonlinear optics. He earned his MBA and Lean Six Sigma Green Belt Certification at the Haslam College of Business at the University of Tennessee. He has published over 150 papers and patents, received the Air Force Science & Engineering Award for Engineering Achievement and is an Associate Fellow of the American Institute of Aeronautics and Astronautics (AIAA). OEwaves, Inc. headquartered in Pasadena, California, USA, is a leader in innovative microwave photonic products and solutions. OEwaves develops and offers state-of-the-art technologies and products in support of radar, communications, and test and measurement systems for military and commercial markets. OEwaves was founded in 2000 and has maintained an Intellectual Property Portfolio of over 115 cases, 20 of which were licensed via an exclusive agreement with the California Institute of Technology (Caltech) to establish a secure path in which to develop our initial core technologies. For additional information, please visit http://www.oewaves.com.